Sell By Auction holds East Midlands Property Auctions monthly with sales across Leicester, Loughborough, Derbyshire, Coventry and Northampton. We value and sell a varied mix of Lots all over these East Midlands City centres, University towns, villages, rural and farming areas. Properties sold include residential, commercial, agricultural and land assets. Our local auctions specialise in auctioneering local property to local buyers who pay the best prices as either the end user or future homeowner or occupier. Unlike many other auction houses who sell out of area property to trade buyers who are looking to buy to sell for a quick profit. Property trading is common in London auctions where out of area property is sold to a trade buyer. The trader will then re-sell the property in our regional auction rooms for a profit. Local house hunters may not be aware of a property being sold so far away in London England. Or simply haven’t got the time or money to travel to London. Let alone the risks of wasting time and money if they are not the final winning bidder. 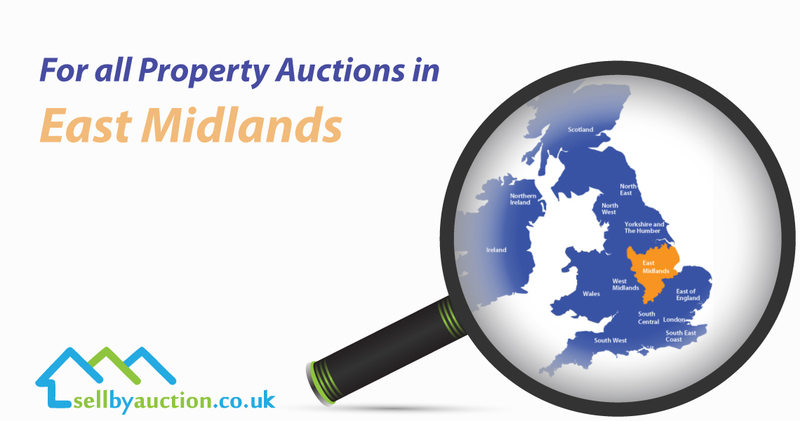 If you have a property to sell in the East Midlands get in touch with our valuations team for a free no obligation expert valuation and selling by auction advice. We recommend that you sell to an end user and not a trade buyer to get the best possible price. Arrange to speak with our surveyors here. It can be confusing to understand what a pricing structure is best for you if you are not familiar with selling at Auctions in England. To simplify, the guide price is the advertised figure that gives potential buyers an indication of where the bidding will start. A guide price is not a valuation, asking price or buy it now price like on eBay. 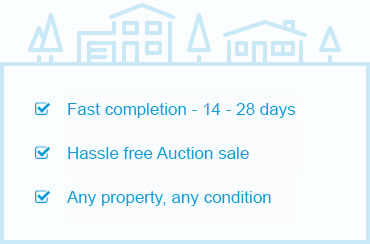 The end selling price of any property in an auction can be lower than, higher than or the same as the guide price. Sell by auction will recommend a reserve price. The reserve price is based on the level of interest shown, offers made prior, the number of viewings, whether there are any telephone and proxy bid and all sorts of additional information we gather during the marketing period.